Want to know my secrets of teaching kids the global lifestyle, good eating habits and keeping our family together as we travel the world? It’s the daily family dinner and cooking together. We host global kitchen nights, take cooking classes together as a family and we often rent apartments in our travels so we can cook with local ingredients and live like locals. Our three children were born in three different countries, and now we live in a fourth one. I’m Finnish and my husband is American, and we have been traveling together for over 16 years now and moving from country to country, and from state to state, on an average of every two years. New jobs, new people, new schools, and guess what glues our family together? It’s the family dinner time. We enjoy food, like the Europeans do, and always eat dinner together as a family. Dinner at the Presnal house is never “a quick bite” but always a sit-down-dinner, discussing about our day, and we often have nice napkins, light up the candles, play some good music on the background, and make it a family moment, even on a school night. Family dinner is part of our lifestyle, and something that does not change, no matter in which country, state or city we live in. We do look for food inspiration from our travels, and have always been taking kids to great restaurants ever since they were young, and encouraging the children to try new foods. However, we rarely eat out when we are at home, but we travel a lot, and for example we’ve lived in hotels and vacation rentals for over three months out of the last two years. Cooking in non-familiar and not that well equipped kitchens can also been challenging, but I don’t think it is a valid excuse for not having a home-cooked meal. Our son Kristian making pasta. It is very important to me, that it is equally normal for our children to eat (and know how to make) homemade sushi with caviar on the top, as the inexpensive quick dinners you can whip up with a couple of simple ingredients and products from the pantry. I don’t want to raise picky eaters, meaning that I want to teach our children how to eat a lobster properly, but also how they will be able to eat well even when they might have limited funds for everyday food shopping. Above all, I want them to learn that family dinner time is part of their lifestyle, as a way to connect with people you love and as a way to take a break in your day. It’s about good food, but also about so much more. We typically even shop for groceries together. Yes, the entire family of five in a store, and we never make a shopping list, but fill the cart with fresh produce and pantry stables. It is common for me to tell the kids “pick two vegetables” and no judgements what they pick, as long as it’s something different from what everyone else is picking. 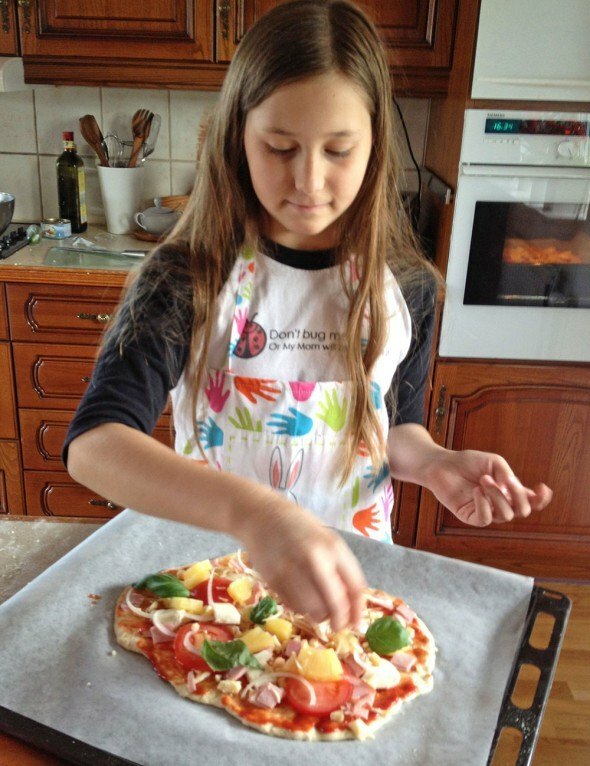 It encourages kids to try new things, and it encourages me to learn to cook new things and be adventurous in the kitchen. Of course, I am not going to lie, I am famous for my 15-minute-meals of whipping up a week night dinner when “we have nothing to eat” – that’s where stocking the pantry with pasta, tomato sauce, rice, beans and so on come in handy. We also can’t have expensive dinners everyday, because we save money for our travels. Food shopping on travels can be an adventure. Since we are a family that loves to travel, incorporating different cuisines to our dinner table comes naturally for us. I always try to bring home a recipe idea, or even food items from my travels, and dinner time is just a great way to “travel” a distance on a school night. Let me give you an example of how seriously we take teaching about global kitchen to our children. We have been to Italy several times the past year and half, and during our trips, we have taken pasta making classes, baked pizza in wood-burning stove in Rome, picked olives and stayed in an olive farm, taken food tours from Rome to Venice. Kids have tasted dishes like hare stew for the first time, and we’ve been amazed by butcher shops that only sell horse meat. 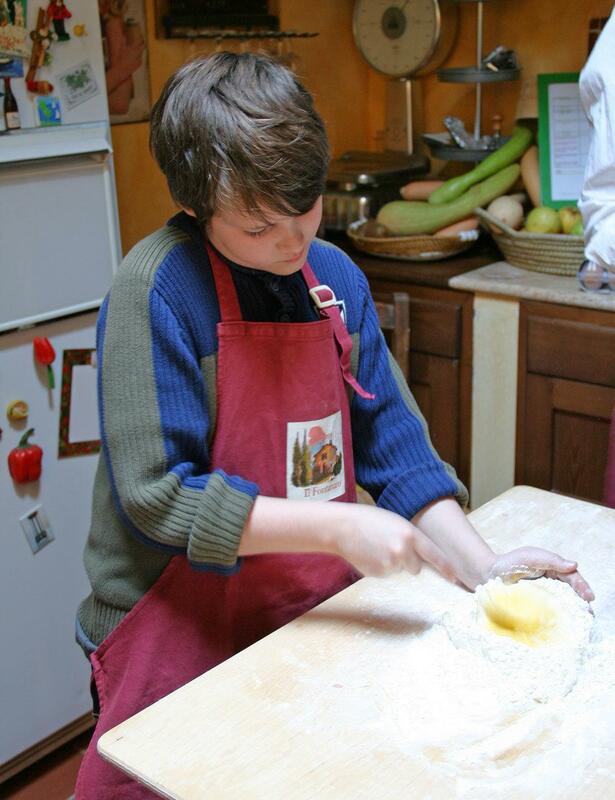 We have also learned so much about Italian culture and history through our food travels, that I can’t imagine a better way to teach children about geography, biology and even politics than culinary travels. 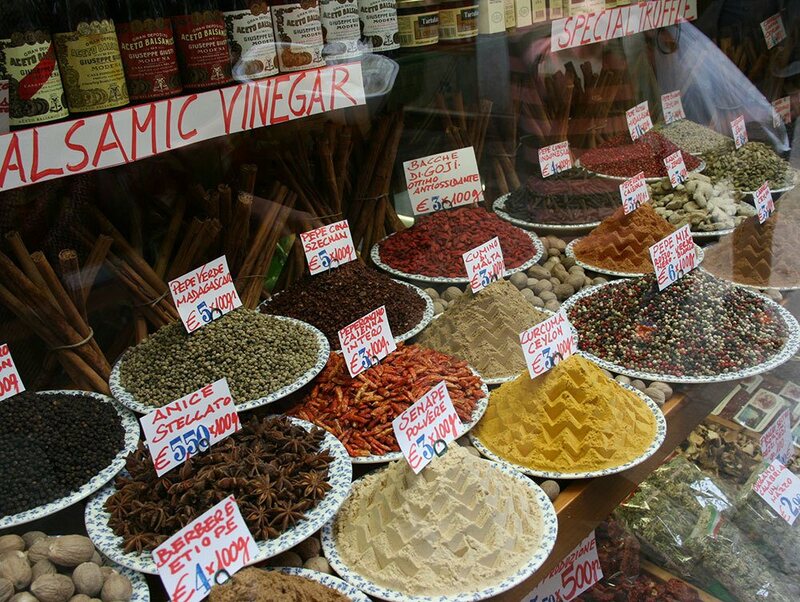 (Stay tuned for culinary travel tips to Italy and the best food tours we have taken). Kids shaving Balinese chocolate on the top of Tiramisu. 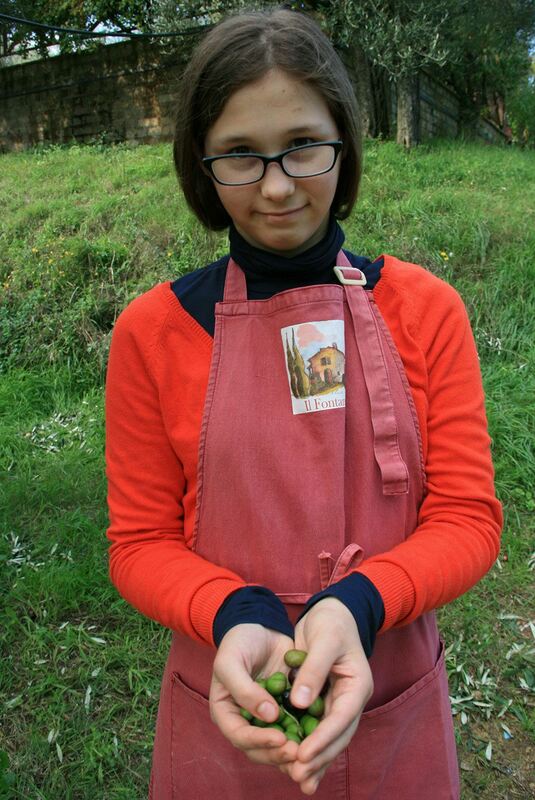 The memories of the cooking classes and for example experiencing the olive harvesting in Italy will last a lifetime, and I hope they inspire my children to incorporate the global lifestyle in their daily lives for the rest of their lives. We all make great memories on our travels, but when you come home with a new skill or something that you can replicate at home, you are not just living the experience once, but you are enriching your everyday life. That’s the type of travels I like. 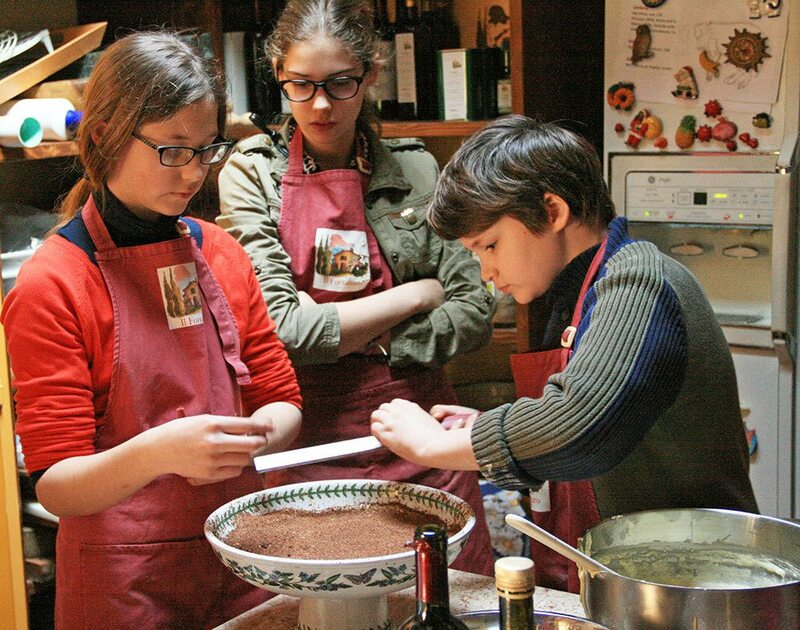 I know, taking kids to Italy for cooking classes is not for everyone, however, the family dinner should not be a novelty, but something that will help your family to live life to the fullest on a daily basis. Anyone can teach children the basics of cooking, even starting from a very young age. Even if you are not a master chef yourself, start with easy recipes, and take shortcuts, it’s OK. You have to eat everyday anyways, why not make it something you can enjoy together with your family? Our oldest daughter is now 14 years old, and it is incredible how fast the years have gone. I never see the family dinner time as a wasted time, but those are the times when we’ve had the best conversations and the biggest laughs. I also feel that teaching children to cook, is a life skill they will appreciate the rest of their lives.